Afro Samurai 2: Revenge of Kuma Volume 1 is ranked in the 0th percentile of games scored on OpenCritic. 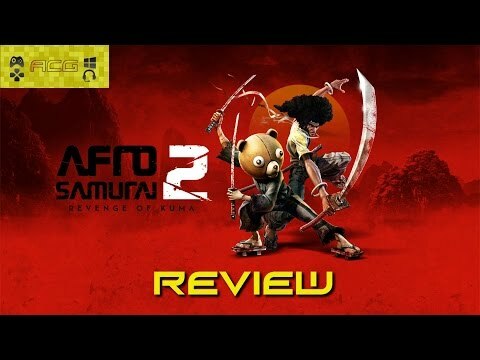 Afro Samurai 2 is a watered down bootleg of the previous game, with its soundtrack being its only redeeming merit. This title plays like a sarcastic version of a real game. I don't mind being mocked if I can laugh along, but this is just mean. While the idea of a fresh sequel is enticing, Afro Samurai 2 squanders its material at every turn, boasting horrific graphics and sound design, poor combat and a nonsensical story. Afro Samurai 2 is so bad it actually made me physically disheartened to play it. Afro Samurai 2: Revenge of Kuma: Vol. 1 is a bad, bad game. I hope the developers take note and fix these issues before releasing the next two volumes, but it almost feels beyond broken. I wanted to love it, I tried to love it, but at the end of the day it just shattered my dreams of continuing the series. Let's hope the original gets backwards compatibility on Xbox One soon. I am really dying to dive back into this world, just not with this abomination of a game. I've played some pretty bad games in my life but I can say without a doubt that Revenge of Kuma is easily one of, if not the biggest piece of s*** I've ever had the displeasure of playing. This is a clearly unfinished, hot mess of a game that leaves a dirty stain on a great series. Afro Samurai 2: Revenge of Kuma is an irredeemable mess. Afro Samurai 2: Revenge of Kuma Volume 1 is an unpleasant, deeply depressing experience throughout its short running time. Its narrative is incomprehensible melodrama told through sloppy cutscenes and obnoxious monologues. The levels largely feel unfinished, offering only sporadic opportunities for player interaction. And aside from a few decent tunes courtesy of RZA, the audio and visual presentation is appalling in its lack of quality, featuring hideous textures and even uglier models. It saddens me to say that even though Afro Samurai 2 had potential, it felt rushed and may be one of the worst games I have played this year. It's poor enough that even die hard Afro Samurai fans should stay away from this mess of a game. My hope (however slim) is that Redacted Games will up its game and make volume two a better experience. That Afro Samurai 2's first episode gets so much wrong in such a small amount of time speaks volumes about its laundry list of problems. A disastrous experience all round. I usually hold off on telling people not to get an episodic game until more of it is available, but even after playing the first volume of Afro Samurai 2, I can say with authority, "do not get this." 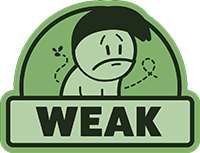 A broken buggy mess of a game without one single redeeming feature. Avoid like the plague.